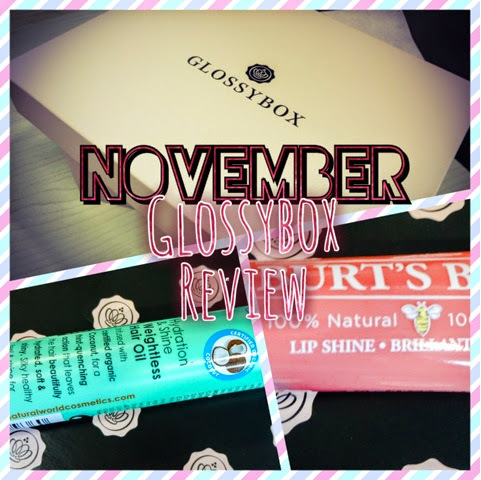 A little bit late with my Glossybox review this month! With the house move everything has been in chaos, and I just realised I hadn’t posted anything on it. That’s actually a good thing though, because I’ve really had the chance to test everything out and form a proper opinion of it. 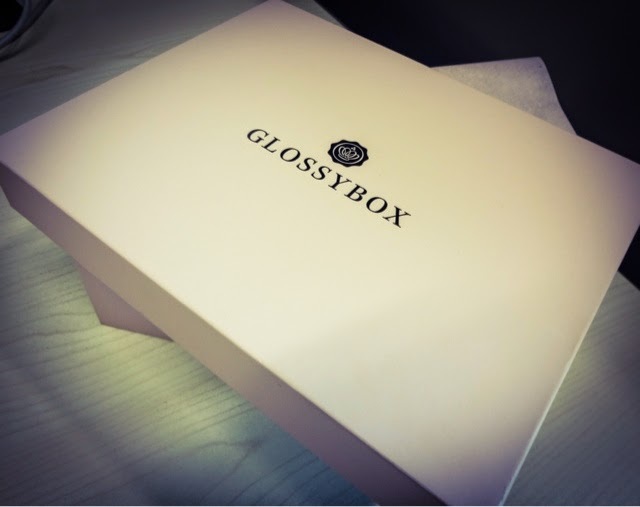 Its been a great run of boxes lately with some brilliant stuff in, and although I had a couple of Birchboxes as well, I still think Glossybox are the better value and give me way more to smile about! That little pink box with all its ribbons and tissue paper still cheers me up and I really look forward to it each month. So what would November bring? Would they manage to top the last few months? 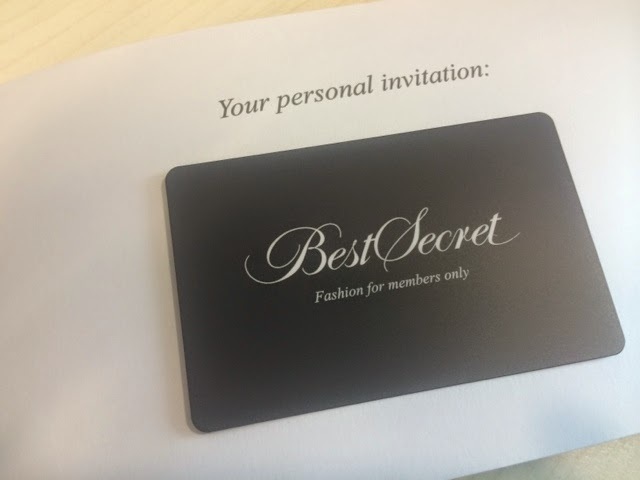 The first thing I spotted was this little card, that invites you to become a member of Best Secret. Best Secret seems to be a deal-focused designer shopping site, and its invitation only, so it was cool to receive this card, especially as it came pre-loaded with £20 to spend on the site (minimum purchase £60) but that’s a great deal. With things like this my usual gripe is generally that you have to use it that same month, but this is valid until July next year, which is really good. I’m actually thinking it might be a great place to find something to wear for my sister in law’s wedding. I haven’t explored the site yet, but I will be doing. There are over 1,000 designers on the site with reductions of up to 80% and as I love a bargain but also prize quality, this sounds perfect. A great little bonus to get. The best product in the box this month, for me, was this brilliant eye pencil. Lollipops is a French brand - I’d heard of them because someone bought me a little beaded handbag from them a few years back, but I didn’t know they did make-up. 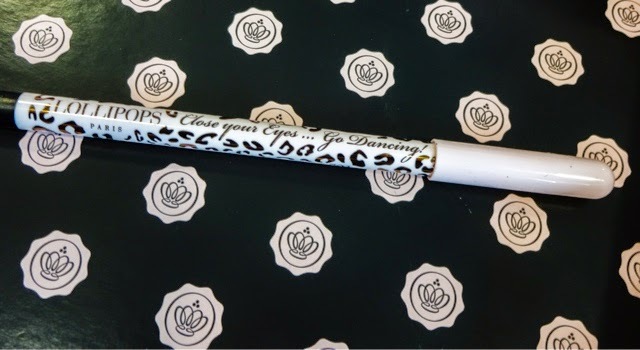 I loved everything about this eye pencil, it went straight into my ‘daily use’ make-up bag. For a start it’s the retractable mechanism. I really hate sharpening pencils, because I’m lazy but also because they look awful when they’re all filed down. I know that’s a weird reason but it annoys me to have lots of stubby little pencils rattling around! So I loved that this was one of those that you twist up, with a little sharpener in the bottom, much neater. The packaging is so gorgeous, it would be a total shame if you ruined it by sharpening as well. It’s a pink case with black leopard print reading ‘Close your eyes….go dancing!’ - super cute or what? 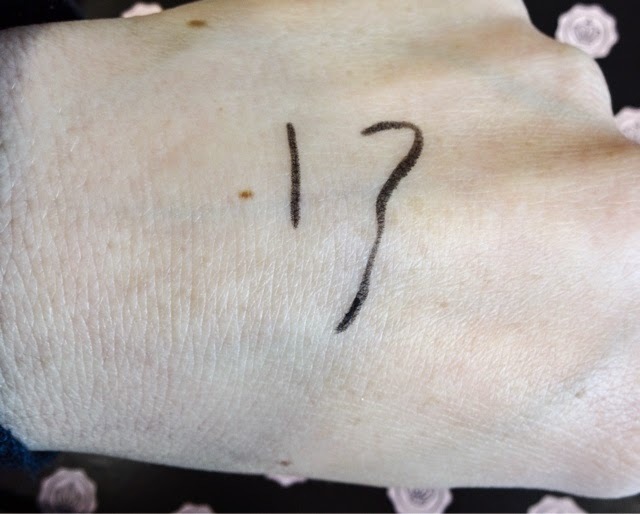 This looks great but I’m also very impressed with the product – the colour is ultra-black and inky, the pigment is dense and it actually looked like a gel or liquid liner once on. You can smudge it out for a smokey eyed look or leave the line precise. It also has added Vitamin E for a ‘anti-aging action’, although I’m not sure how much my lash line needs that! Still, skin goodies in a make-up product are always a bonus. I’m seriously impressed with this, it is one of the best eye pencils I’ve ever used – I normally favour a gel liner, but this is a great substitute. 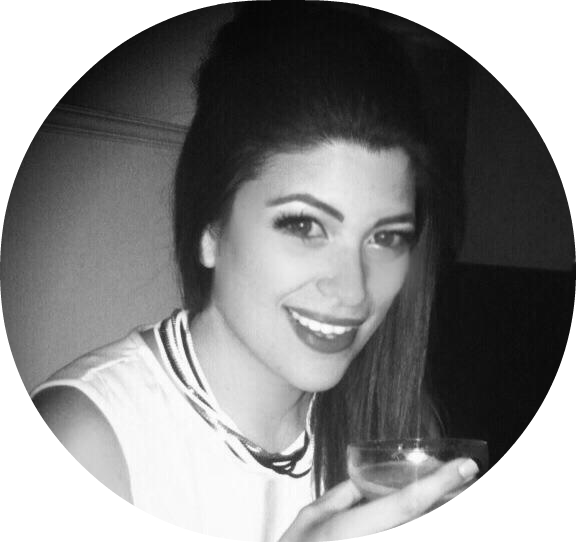 It’s perfect for doing the Charlotte Tilbury –looking feline party eyes I’ve got planned this Christmas. Total love and I would definitely re-order this. What a find! Another full size product, whoop whoop! 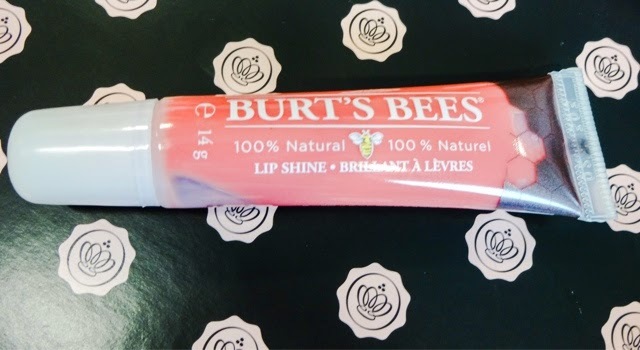 This time its one of the new Lip Shines from Burt’s Bees. I know they’re renowned for their lip balms and hand creams, but I haven’t tried anything from them, so it was great to discover them in the box this month. This is one of those products that gives a really natural effect, halfway between a balm and a gloss. 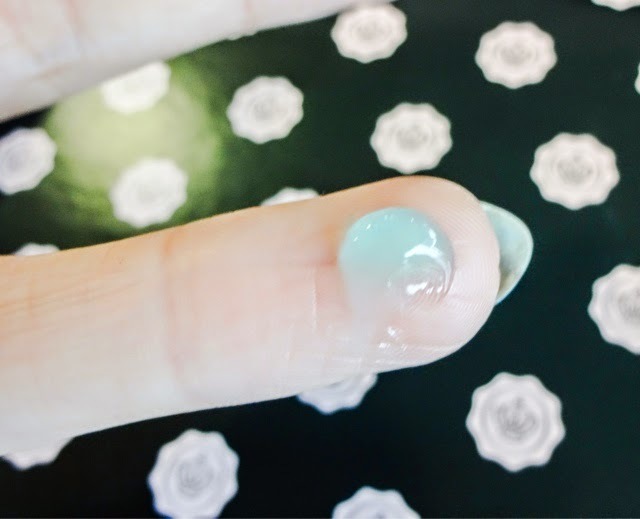 Its very sheer, so you could easily layer it on top of a stronger colour just to add some shine. It’s a 100% natural product and enriched with Apricot Wax to moisturise. I’m going through tonnes of balm at the moment, my lips are really reacting to the sudden cold snap here, so this is very timely. This pale pink shade is called ‘Whisper’ and that’s very apt because it only gives the barest hint of colour. Perfect for those au naturel days! 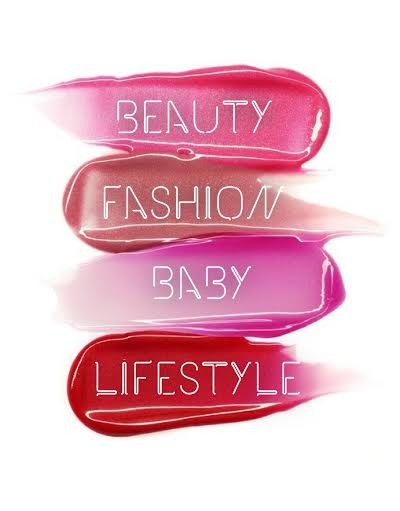 The formulation is not entirely non-sticky, but it still feels comfortable on the lips and doesn’t leave them feeling dried out like some glosses can. This is perfect to keep in a coat pocket, desk drawer or car glovebox because it’s a pretty, neutral shade that will provide a hit of shine and care no matter what your look for the day is. As soon as I spotted this in the box, I pounced on it, because my skin has felt so dried out and tired from all the stress I’ve been under and the changing weather. Normally, its pretty balanced and I don’t have many problems, but at the moment, no matter how much cream and oils I’m slapping on, my face just isn’t happy. This oil-free gel claims to deliver a deep level of hydration and minimise the appearance of fine lines into the bargain. You apply it a bit like a mask, and you can also pop it into the fridge if you want a cooling effect into the bargain. 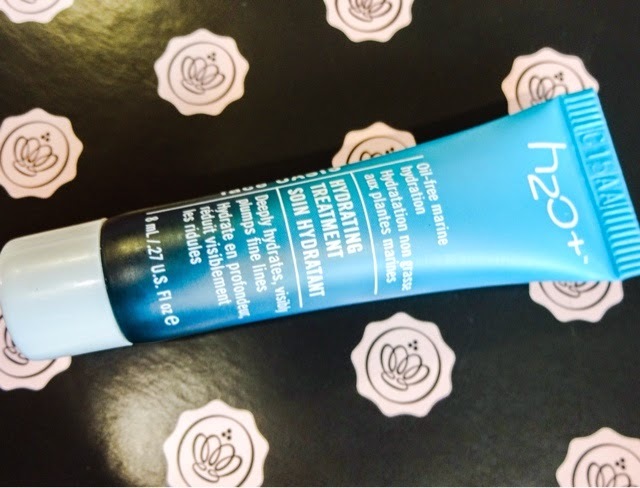 The blue gel really did soothe my sore, tired skin a treat, I was most impressed with it. It sank in pretty much immediately, so although I wouldn’t have applied make-up afterwards, it worked well for the end of the day, after cleansing. A little lifesaver with all the winter weather! 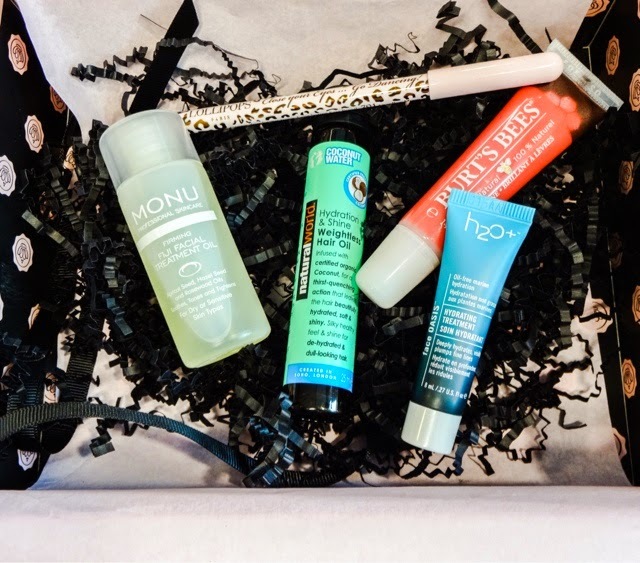 You know I’m all about the power of oils and I use them on my body, hair and face, so I’m never going to be disappointed when one turns up in my Glossybox. 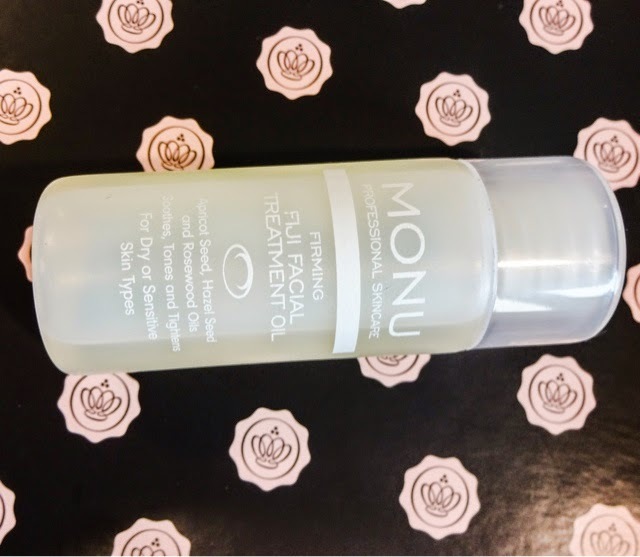 I had tried a Warming Bath and Skin Oil from MONU before (I think it came in a Birchbox), which quickly disappeared as I got into the habit of adding it to all my baths! This oil has plant extracts that nourish and protect the skin, whilst having a firming, toning action. Its very strongly scented so you know all about it when you’re applying it. You can use a few drops in the morning (I like to add it to my Streamcream to give everything a boost) or layer it on at night for an intensive treatment. I’m pretty in love with my Body Shop Beautifying Moringa Oil, so I’m not sure if this will be able to take its crown, but I’m more than willing to try! I’ve also got Seb into using oils at night and his skin looks incredible now, really glowing and smooth. Really pleased with this. A third full size product, so we’ve been treated very well this month. Glossybox seem to be as keen on oils as I am this month! This time, it’s a product formulated specifically for hair. 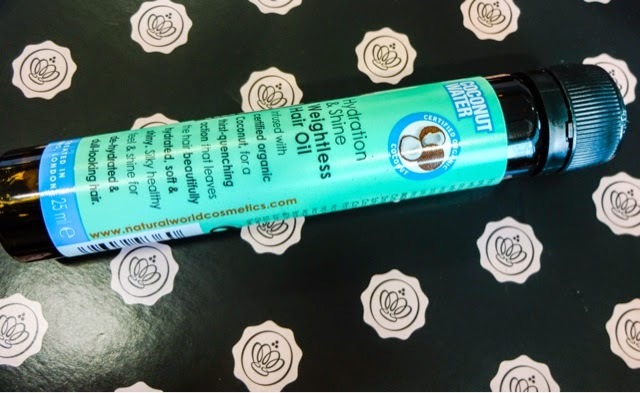 I use and love L’Oreal Professional Mythic Oil (it’s a holy grail item for me), so I’ve never really branched out before, but I have heard wondrous things about coconut oil and I’m excited to try this. I really like the test tube style packaging on this as it makes it ultra-portable, perfect for taking on your travels or even popping in your bag to battle bad hair days. You can use oils on wet or dry hair, so either after washing and conditioning and leave it in, or just add a small amount as the final step after styling to add shine and smoothness. My hair can be really wild if I don’t use straighteners on it, so oils can help restore smoothness if I want to wear it nautral or put curls in. This little lovely is very lightweight and designed not to leave a residue, so its ideal for party season, when we crave shiny, show-stopper locks. This month’s box was another good one, I loved all the items, especially the Lollipops eyeliner, what a great find! I’m already looking forward to my Christmas edition box next month. Its good to be glossy!